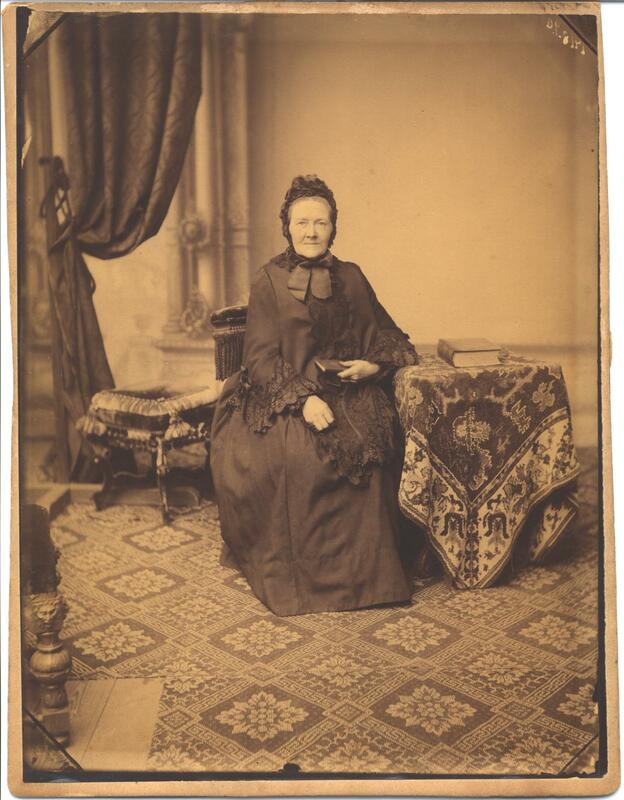 Possibly, the mother of Lisette De La Pre Elsner circa 1890. Note that this picture and the one below are taken in the same setting most likely in a photo studio. 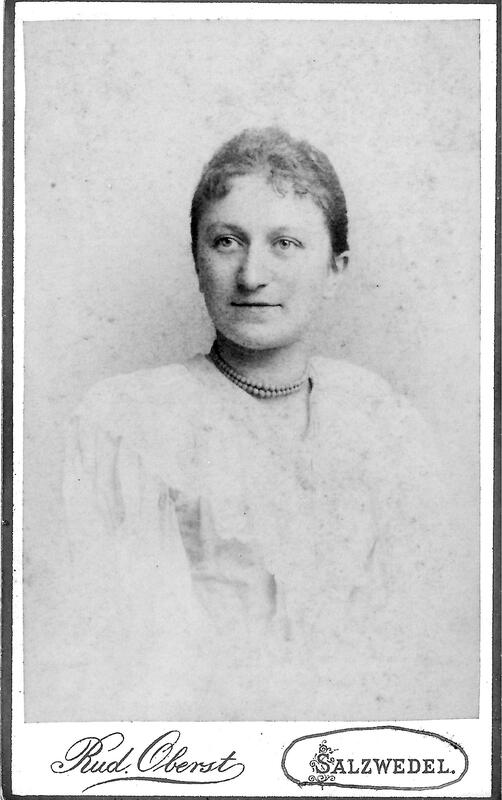 They were probably taken soon before Lisette and her husband left for America, so that the young family could carry these pictures with them into their new life in America. 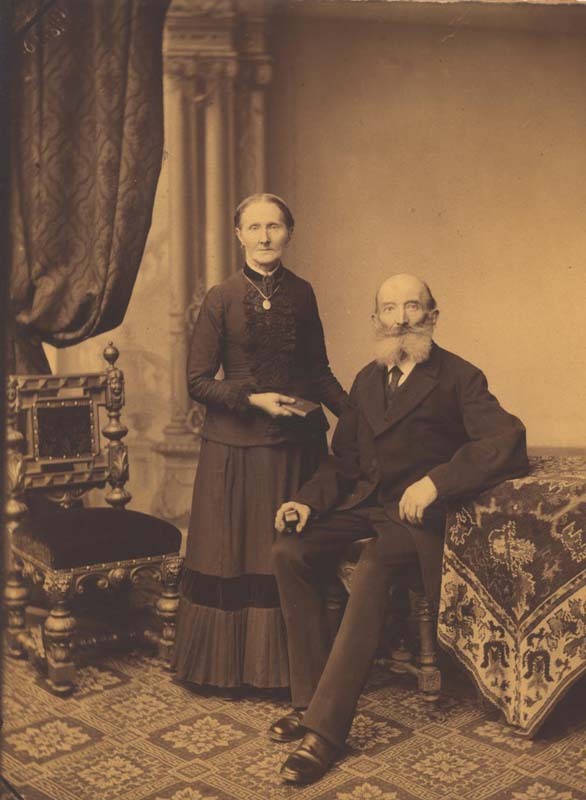 The parents of Gustave Elsner, grandparents of Max Elsner in Salwedel, Germany circa 1890. 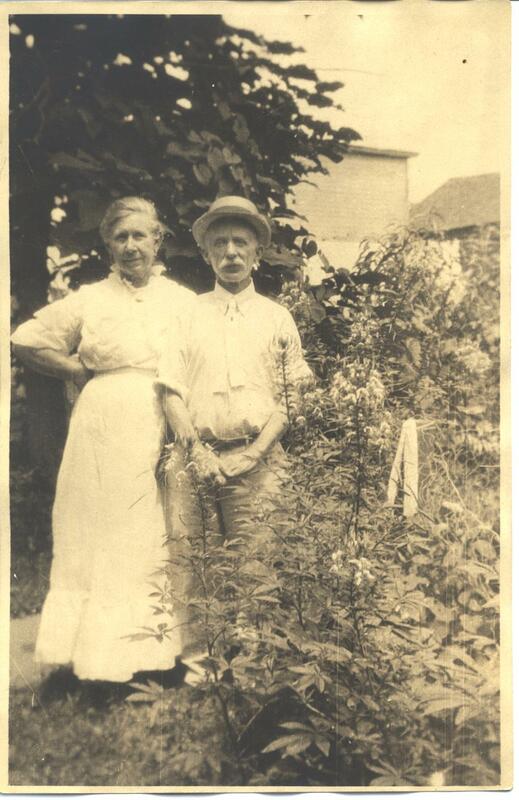 Lisette De La Pre and her husband Gustave Elsner in their garden in Joplin, Missouri circa 1910.